MLM Finding the Right Person. Are you struggling in your mlm home business? Do you find yourself getting frustrated or discouraged about network marketing? Are you wanting to change that? It is NOT the right thinking that will make you wealthy. Sure it helps, but there are a lot of broke positive thinkers in network marketing. People want to CONNECT- to the Idea you are sharing, the Product you are introducing, and the Hope you are Giving- with their heart. Yeah, yeah, I can hear you now talking about this being “hairy fairy” and that is just not who you are. THAT is why you have been struggling in network marketing if you have been. It is ALL about the prospects heart being connected to YOU, the PRODUCTS, the VISION of the Company, and mostly the HOPE of this business working for them and their family to increase their LIFESTYLE. TALK LIFESTYLE and connect their heart to that picture you paint with your words. This is a realization that all professionals need to come to in their mlm network marketing home business. Most people do not realize it, but you have a REACH that can help your business. It is your ability to Influence people and touch them with your message and products. It can be on social media, mobile, offline, or any other place that you are present at. REACH is one of the most powerful things in our profession. if you know the secrets to REACH, you will be stunned atwhat it can do for your home business. Many people in the home business and network marketing profession do not know that power in their REACH. And the echoes of your REACH is important too. That is the REACH of others that are connected to people that have Influence and REACH as well. You may be thinking that you do not have much of a REACH in the marketplace. Yes you do, but it may not be where you need it to be. Here are 5 powerful tips on developing a more powerful REACH and Influence in your market and beyond using the acronym REACH. A secret to increasing your REACH is to recognize people for what they have done and who they are. Keep the spotlight on them in social media, nor you. Forward, comment and feature in posts content and ideas of others. This will increase your REACH. When you have the chance, make everyday a day to Encourage those that need it. As well, encourage those that are trying to make somehting happen. It will sow seeds that will produce a harvest of influence over time. Especially in social media;. Attend the webinars and other events that you can. Network the events. And make new friends and keep in touch with them and let them know they had a great event and tell others about it as well. After meeting new friends, it is critical that you communicate to them. And when you do, make it powerful and uplifting. They will draw towards you. When you can, HELP everyone you can. That alone will create some amazing dynamics and will accelerate your REACH dramatically. These are some tips for your REACH and increasing your Influence with others with your mlm network marke2ting home business. MLM Training on Leadership Control. Do you try and control everything you do with your home business? Ate you aware that being a control freak as a leader hurts your network marketing business? Are you unknowingly practicing this for your work at home mlm? Leadership is NOT control. It is about Influence and persuasion. It is about being a Catalyst and making things happen. But controlling everything going on is not leadership- it is dictatorship. And it never works to build a direct sales team. Here is an article from SmartBriefs that will help you see from a Corporate side that you must NOT try and control everything. Yes, you want to hit the ranks that your comp plan has, and hit the top of the plan. But if you control everything in your group, you will find that it hurts you more than helps you do that. And one of the biggest reasons NOT to try and control everything, is that your Influence will be hurt a LOT with your team and upline. Here is the article- enjoy! Why do you care if you do not hit the rank promotion or get the promotion you desire? Financial—you don’t reach your income goals; the top sales officer is typically one of the 3 highest paid people in the company. Professional—you will be branded as the almost guy; He was almost the SVP. He almost got the big job. He almost got promoted but timing didn’t work. Personal—do you want to relocate and change industries in your mid 40’s? If you’re into relocating, New Braunfels cash home buyers will help you. To get started, simply fill out a form at wewillbuyyourhomeforcash.com and scroll down to find out more details. Is your wife interested in pulling the kids out of school? The average regional VP of Sales has 2 kids between the ages of 9 and 15; embedded in the community. Never easy. This month, Forbes wrote a compelling article on the importance of great sales leaders. Influence through coaching and developing all people in the organization stood out. If you lack it, you will fail. You might be saying: “that sounds squishy.” It isn’t. You have positional authority; but you do have influential authority greater than your peers? The higher up you go, the less control you have. The number one reason why Regional guys never become worldwide guys is they lack the ability to influence multiple stakeholders. They spent their careers controlling people. I call them Captain Control. Do you commit any of these 3 sins? Control People—you constantly are working behind the scenes to ensure all people in your region say the right thing when others are in the room. You don’t like people reaching out to your direct reports without you knowing. More importantly, you are fanatical about knowing what happened. Who said what to whom and when. You are “feared” in your group and you somewhat enjoy the perception that you carry the big stick. Control Ideas—you don’t like new ideas unless they are yours. You spend time pushing back on change. You resist it. You want your team to “run the playbook” vs. challenge you and conventional wisdom. No idea is a bad idea as long as it is yours. Control Opinions—you don’t seek transparency. You seek compliance. When you ask people questions, you do it in a manner to check the box. You say you want their opinion but you really don’t. You want their agreement with yours. Malicious obedience. What is the Alternative? Measure yourself against your key sales team leaders. You may be surprised at how they manage and inspire their teams, not control them. 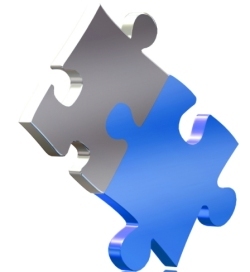 SalesBrief Article for more reading…. This is another post that will help your leadership in the mlm network marketing home business profession. Do you know how to duplicate your success efforts in your home business? Are you struggling with building your network marketing mlm business? Could you use some help in your leadership strategies for duplication? There is nothing more important in Leadership in your home business then Duplication. Nothing happens until something is duplicated and the results are locked in. But many in network marketing struggle because they do not know how to duplicate and drive depth in their team nor how to teach it. We are going to go over the secrets to duplication and making it happen in your team with a 4 step process. And if you learn this process and master it, you will see your business grow in a manner that most never will. Duplication is the secret to building Leaders and building your business. This 4 step process is a simple but powerful success process. It has been taught before, but it still works- online or offline. TELL the new team member what they are supposed to know and do, and make sure that they learn it, and get it done. This is called education. Tell them step by step and action by action how to do it. Here is also where you want to ROLE PLAY! ROLE PLAY! ROLE PLAY! Practice with them what you have told them to do. And practice, drill, and rehearse even more. Let them get a feel for what they are going to be doing. SHOW the person how to do it LIVE and do it RIGHT-online or offline. Show them step by step. And if you are marketing online, get them to the site Join.me or a goto meeting for LIVE “this is how you do it” training with them . Whether offline or online, let them SEE YOU DO IT. Take them on an appointment. Get them on some calls or webinar with you so they can listen amd learn. Let them hear you talk to a prospect. Let them see you do a presentation online and offline. Let them hear you close someone. Let them SEE what you do and how to do it. You need to “ACTIVATE” them. You need to get them IN ACTION and let them start the engagement process themselves. They may make mistakes at first, but do not scold them. Encourage them, and compliment them for the attempt if they are not very good at first. Most people bring skill sets to this business that are ill prepared for Success. You must help them develop the skill sets that are necessary and let them learn and get better with each attempt at the actions and process of doing this business. Let them TRY what they have learned, have seen, and have heard with you watching. After they have tried what they saw you do and heard you do, then you need to COACH them to Success. Coaching requires you to be watching for the mistakes and then gently telling them about those mistakes, and then encourage them to engage again until they do it correctly. Discuss with them what they did that was great- and again, what needs to be improved. And then let them try it again and again and again, until they have the process and actions down successfully. And then they eventually will be DOING it by themselves- and ready to teach and EQUIP others with this simple philosophy of training. Simple. No more than a week or 2 of effort. People are smarter than you think if you do training RIGHT. Even in social media- if people are not engaged in talking with people, connecting, doing events, going local, and all there is to do, they will be wasting their time. YOU have to get them on the computer and SHOW them how to set up a facebook profile or twitter account. This is SHOWING- not just learning. There are many educated people with a home business that never get started. Do NOT make that mistake. Use and teach this 4 step process and you will find that duplication is taking place all through your team for success in mlm network marketing home business. MLM Leadership 4 Pillars Training. 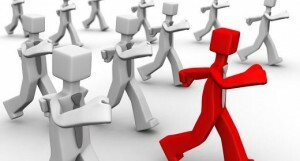 Have you ever thought about YOUR leadership in your network marketing business? What does Leadership mean to YOU in your home based business? Do you know what the 4 Pillars of Leadership are in MLM? The 4 Pillars of Network Marketing Leadership. going to truly succeed with a successful team. These 4 Pillars can truly help you master the Leadership and Team Building skills needed for Network Marketing success and to duplicate your home based business. We will cover the NUMBER ONE of these 4 Pillars briefly with this post, and tell you how they work in building a team and leading it. The 3 others will be covered in future posts. All great Leaders that have built large downlines have mastered the Art of Communication. They understand the power of their words and the power of their Influence. You must understand the power and influence behind your words. Weak leaders have a weakness in their communication and in their approach to Leadership. They are not passionate and they do not have the ZEAL for their Vision they need. Zeal is a common element in Leadership that many people do lack as they are too focused on what is NOT happening in their business versus Leading your team to MAKE something happen. Communication Rule: You must communicate DAILY with your leaders and weekly with your team. This is critical as THEY NEED TO HEAR FROM YOU. Now do not over do it either! Too much communication can work against you. But if you communicate within those parameters, and do it consistently, it will work well for you. that deserve it. You see, you do not spotlight those that NEED the spotlight but the ones that DESERVE the spotlight. up, and make sure that your people that are truly getting even small results, are focused on and encouraged publicly. The more that they feel APPRECIATED the more they will continue to stretch themselves and work. That is one of the biggest elements for Communication- APPRECIATION. Communication soaked with Appreciation always equals LOYALTY. This will keep them focused on their dreams for their mlm network marketing home based business. FREE 90 minute training mp3 – “2013 Business Building Secrets”- over 100 secrets- from Doug and host of others! Do you ever get objections in your home based business when you are working? Have you ever been stumped with an objection in your network marketing efforts? Many people do NOT like to talk about objections as they simply are something that people fear, but yet do not know what to do. And of course people do not like to talk about what makes them uncomfortable. But unless you GET COMFORTABLE with objections, then you probably will not like to even acknowledge they exist. (smile) But I believe that you MUST be able to handle what stops most people in network marketing and mlm. Here is a secret: if you can master objections, you have mastered the hardest part of this business. Objections are simply smoke and mirrors with most people. They are ways that people have learned to respond from people they know and like. They have been “programmed” to respond in a particular fashion without even thinking. They are words that they have heard over and over and learned to respond in that fashion to ideas and concepts they are not familiar with. 2) They make the prospect resistant towards talking further by trying to overcome the objection. Dumb. Dinner. Have you ever suggested a place to eat and someone said they did not like that restaurant or food? Did you quit eating after that? Movies. Have you ever wanted to see a movie but your date wanted to see something else? Did you give up movies after that? Store. Has anyone ever wanted to go to a particular store but someone wanted some other store because they liked their selection better? Did you give up shopping? IN ALL 3 cases, their were objections, but yet we just took them in stride and moved on with our life. You got to admit, it happens everyday. It can happen in every other conversation and people are going to disagree with you with some TOUGH objections dealing with life. But yet, we don’t give up. We get up the next day and face some form of objections again. That is what we need to do with business objections from people- what we do with every other objection in life we get. 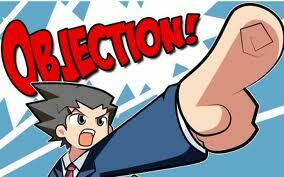 Here is a HUGE Objections Tip: When someone disagrees with you – Make them glad they brought the objection up. Make them feel good about your response. Make them feel like that it was ok to disagree with you. THANK THEM for their objection. Yes- you read that right. Because you are taking back the power in the conversation and neutralizing the power in the objection. This is known as “setting up a referral” from an objection. Works really well and works most of the time! Learn how to set up a referral from an objection and watch your recruiting explode in your mlm network marketing home business. MLM Social Media Opening Lines. Do you ever struggle with contacting people in social media for your home business? Do you ever have to think of something rto say and not look foolish when contacting people for your network marketing business? Is there a favorite line that you use in social media to open up conversation? Many people make some mistakes in their quest for opening up conversations with people in the social sites. They often say and do things that turn people off. What are some of the reasons that people do say things that do NOT work? There must be a balance between the three. You cannot come across as you are talking to them as if you WANT something from them. Thye will sense that. It is even that way on mobile devices as well. You CANNOT be focused on getting something from them. You must be focused on GIVING something to them. People want to know you are not “after” something but are putting your own interests after them. Many folks are way too aggressive in their approach and in their communication. RELAX. Take the pressure off. Opening Lines in social media should be friendly, encouraging, and magnetic. And they should FEEL friendly, and be cordial. 1) Focus 100% on something the prospect has done or said. 2) Seek friendship -NOT a distributorship. 3) Be brief and warm and take pains to RELAX the person you are reaching out to. Oh- and don’t come across like you have “agenda” on your forehead. That is NOT a good thing as you probably have found out already. This is a generic opening line that will work with almost anyone. Keep it focused on finding out about them-not selling them. Ask questions and then ask more. You create in influence that way. You are seen as someone “who gets it.” You are seen as a learner. You are seen as “the next generation.” Than others will be promoting you as a way of saying thanks. BE ENCOURAGING- no matter what. This is a great way to open up a conversation. Go to their profile. Research it. Find a post in their interest. Then share it with them. People love being asked about their authority niche. Make it a sincere question. Let it be a simple one to answer. Thank them for any and all comments..
People with blogs- visit them. Comment on them. Promote their content. Share the link on other sites. Ask their input on their blog about a post they wrote. They will do the same for you. People love to be seen as a teacher. This elevates their image. It also elevates their interest in you. It also elevates your communication IMPACT with them. These are 7 ways to approach people for your social medis efforts in your mlm network marketing home based business. 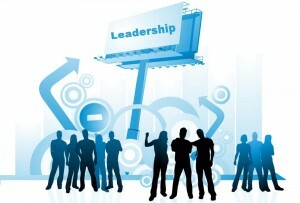 MLM Training – What IS Your Leadership Responsibility in Team Building? Do you take responsibility for the Success of your home business? Are you taking responsibiltiy for your teams Success in your network marketing business? Are you ready to do that for your mlm? Let’s take a look at the word RESPONSIBILTY. Leaders get the word RESPONSIBLE. At least the successful ones do. They know that Leadership will never happen without it. If a leader does not accept what Leadership is about – taking responsibility for a Vision –the the odds of a Leader moving people towards that Vision is not going to happen. Leaders have an innate understanding that Leadership DEMANDS someone taking the reigns and moving there masses towards the goal and destination. There are many ways that a Leader can accept Leadership Responsibility, but the main way is to take responsibility for the Success of the team’s growth. Team growth is critical, and if that does not happen, then the business will suffer. Leading, among other practices is directing and guiding. If a Leader cannot be responsible for guiding people, the what good is it? The Leader also must take responsibility for the actions that will create the Success that they are looking for. A Leader cannot move the masses without moving into the zone of action that will produce the results they are looking for. And if a Leader does just that, and takes the actions needed for growing their team, they will see great things start to happen on their team, and new leaders start to show up. For example, leaders know that ultimately they are not responsible for their distributors’ success. They are responsible for educating them to do this business, preparing them for the challenges that might arise, and supporting them along the way, but each distributor must engage and embrace their own success. to lift weights, why to lift and when to lift, but they must do the lifting and the grunting. If she lifts the weights for them, she’ll get the benefits, not them. They’ll lose interest and say, “Weight lifting doesn’t work!” — sound familiar? fill it with water, stock it with fish and teach you to fish, but the new distributor must cast the line. 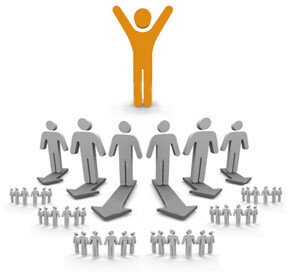 Responsibiltiy is crtical for the leader, and even though they will not DO the business for their team, they set up the environment so the team’s odds of success are increased dramatically for their mlm network marketing home based business.